A sweet style in burgundy red, this short wedding-guest dress flatters the figure in a shift style. 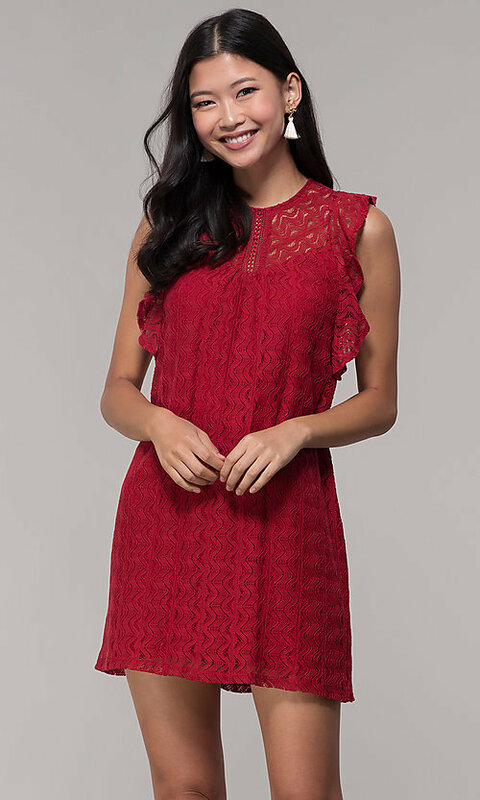 The cute red party dress has a sweetheart lining that shines through the delicate lace overlay. Lace flutter sleeves cap the shoulders and wrap around the arms for a fresh and fun design. An openwork lace crew-neck yoke provides a lovely contrast, while a back keyhole detail offers a bold look. 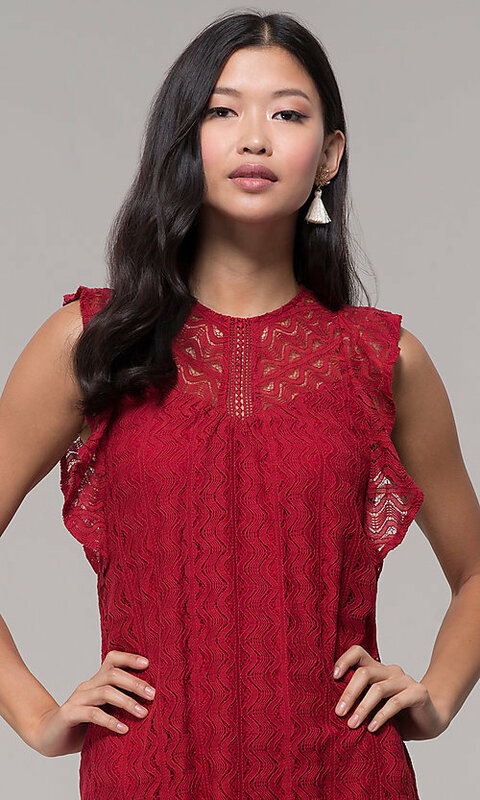 From casual shopping trips to semi-formal events, this short burgundy lace wedding-guest dress, under $100, is a fresh and flirty style.